Bournemouth came back from two goals down to draw 2-2 with Everton at the Vitality, with both sides maintaining their unbeaten starts to the season despite being reduced to 10 men. Everton forward Richarlison was the first to be shown a straight red card four minutes before half-time following a clash of heads in the area with Bournemouth right-back Adam Smith. However, that did not affect the visitors, who went ahead through Theo Walcott's breakaway strike (56), before Adam Smith also saw red for hauling back the Everton goalscorer. Marco Silva's team soon doubled their lead thanks to Michael Keane's header (66), only for the hosts to take a share of the spoils after goals in the final 15 minutes from Josh King - via the spot - and Nathan Ake. The two sides started in confident fashion having both begun the season unbeaten, although it was Bournemouth who created the better openings. Callum Wilson spurned the first after 16 minutes when stroking the ball over the bar with just Jordan Pickford to beat, before Ake mistimed a header with the goal gaping six minutes before the break. Two minutes later, though, the visitors' task got a lot harder after a moment of recklessness from their £40m summer signing from Watford. Adam Smith and Richarlison squared up to each other in the area, with both placing their foreheads against each other, before the Brazilian forward appeared to lean his into his opponents. 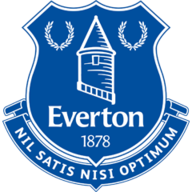 Referee Lee Probert immediately brandished the red card, with no action taken against Adam Smith, although it was Everton who actually opened the scoring with the first shot on target in the match. Cenk Tosun released Walcott down the right and the forward's pace sent him clear of the Bournemouth back line, before drilling the ball past Asmir Begovic at his near post. Bournemouth were unchanged from last weekend's 2-1 win at West Ham, meaning record signing Jefferson Lerma had to settle for a place on the bench. Everton were without midfielder Morgan Schneiderlin due to a muscle injury, with Tom Davies coming in to replace the Frenchman in the visitors only change from last weekend's win over Southampton. The contest really appeared to swing Everton's way just past the hour-mark after Adam Smith was dismissed for pulling Walcott back as the winger latched on to Pickford's brilliant long through ball. Even more so when Keane - who later went to hospital with a head injury - headed in Sigurdsson's cross at the far post after Bournemouth were caught out as Everton took a quick free kick, only for the home team to score twice in the final quarter of an hour. Bournemouth were given hope when Leighton Baines gave Wilson a nudge in the back, with King converting the penalty 15 minutes from time. And just four minutes later Ake was on hand to stab home a rebound after Wilson's brilliant curling header from Jordon Ibe's right-wing corner had beaten Pickford, only to strike the post. 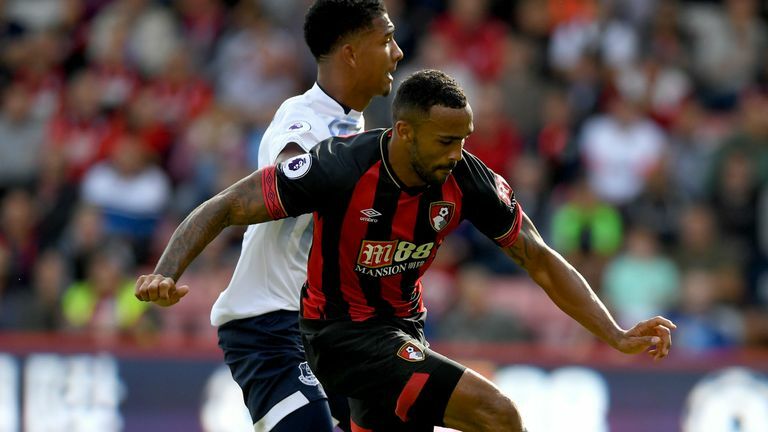 Bournemouth striker Callum Wilson gave Gareth Southgate another reminder of his predatory instincts on Saturday after helping set up both of his side’s goals. Meanwhile, Theo Walcott’s energetic display will surely not have gone unnoticed either by the England boss, with the speedy forward the best player on the pitch at the Vitality. 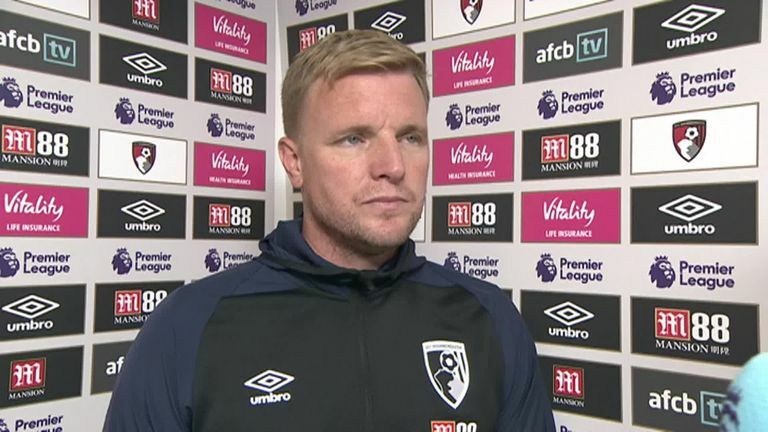 Eddie Howe: "Another comeback and we're delighted to achieve it because - certainly at 2-0 down and 10 v 10 - it looked very difficult just from the mental perspective of how the game had gone for us to that point. "The players went again and once we got the goal to go 2-1, the whole game changed, the momentum of the game changed and we were the stronger team at the end." 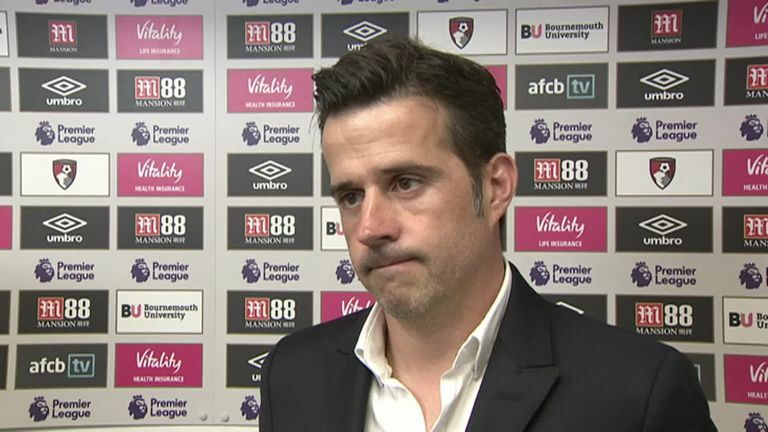 Marco Silva: "It is naïve, it is something Richarlison can't do. It is something for the boy to learn fast, but it is something we can see many, many times in a football match. "Both players to put their heads against one another and with minimum contact or movement as well. But it is smoothing he cannot do." The forward - who scored in consecutive top-flight appearances for the first time as an Everton player and the first time since April 2017 - was a constant threat to Bournemouth with his pace and trickery, as shown with the visitors' opening goal on the south coast. And you can see the 29-year-old being a vital component in Marco Silva's forward line as the season progresses as he looks to stretch opposition defences on the counter. The red cards shown to Richarlison and Adam Smith would both have remained even if VAR had been in operation, while Bournemouth's second-half penalty would also have stood. 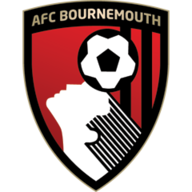 Bournemouth host League Two MK Dons in the second round of the Carabao Cup on Tuesday night, before facing a tough-looking trip to Chelsea next Saturday afternoon. Meanwhile, Everton entertain Rotherham in their League Cup second-round clash on Wednesday evening and then take on Huddersfield Town at Goodison Park a week today.